Info: The Foamposite One was the signature shoe of Anfernee 'Penny' Hardaway in 1997. 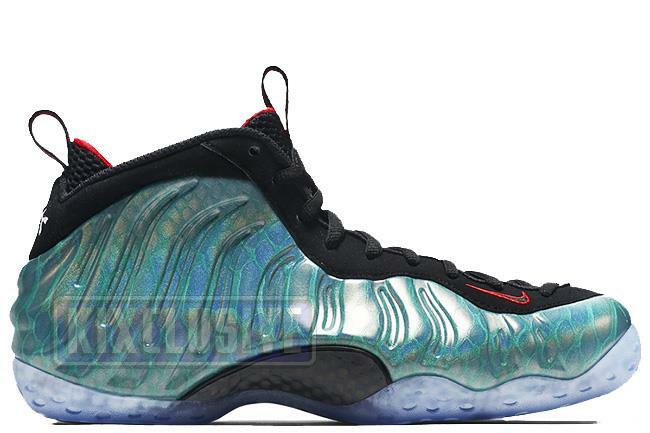 The first shoe to feature Nike's innovative Foamposite technology of synthetic leathers surrounding the upper. This 'Gone Fishing' edition is highlighted by 3M reflective fish scales covering the shell of the shoe and features a black upper with red details on the interior, pull tabs, tongue and outline of the Nike Swoosh. The shoes come with a special fishnet bag to complete the theme. June 2015 limited release.